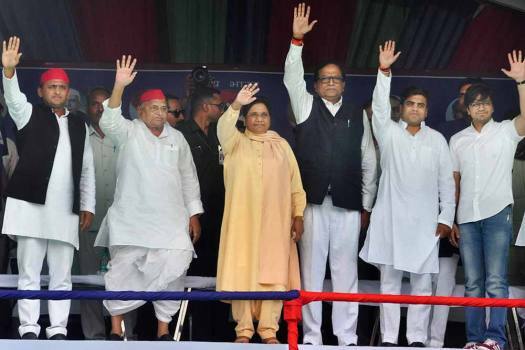 Samajwadi Party patron Mulayam Singh Yadav with Bahujan Samaj Party supremo Mayawati waves at the crowd during their joint election campaign rally in Mainpuri. 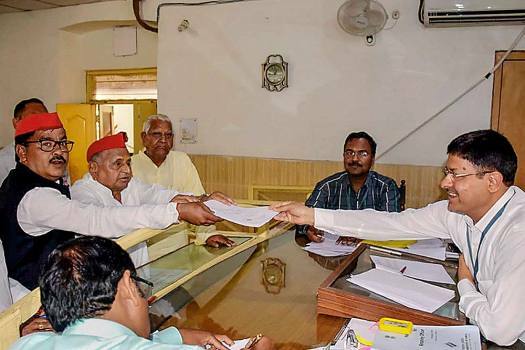 Samajwadi Party founder Mulayam Singh Yadav files his nomination for the Mainpuri parliamentary constituency, ahead of Lok Sabha elections, in Mainpuri. 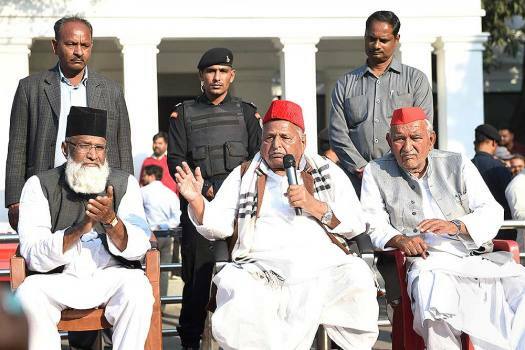 Samajwadi Party founder Mulayam Singh Yadav addresses his party workers at party office, in Lucknow. 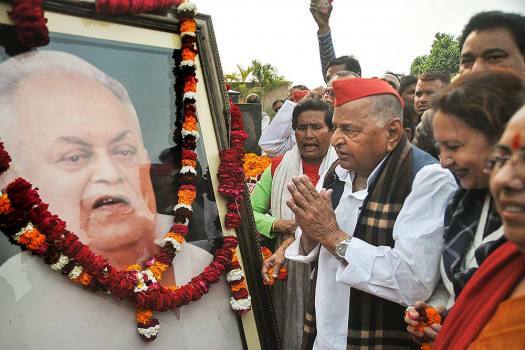 Samajwadi Party founder Mulayam Singh pays tribute to party leader Janeshwar Mishra on his death anniversary, in Lucknow. 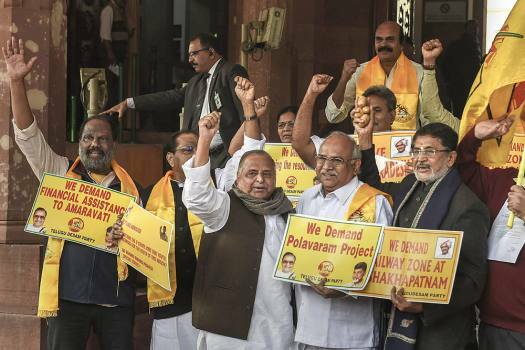 TDP MPs with Samajwadi Party founder Mulayam Yadav raise slogans regarding various demands, during the ongoing Winter Session of Parliament, in New Delhi. 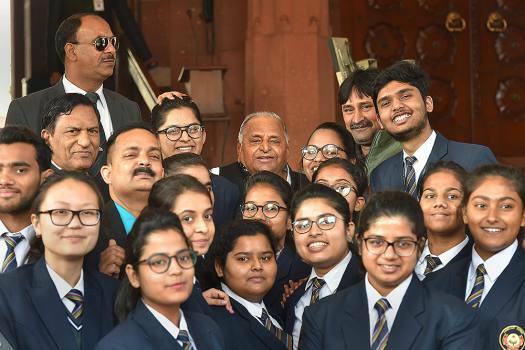 Samajwadi Party founder Mulayam Singh Yadav poses for photos with students during the Winter Session of Parliament, in New Delhi. 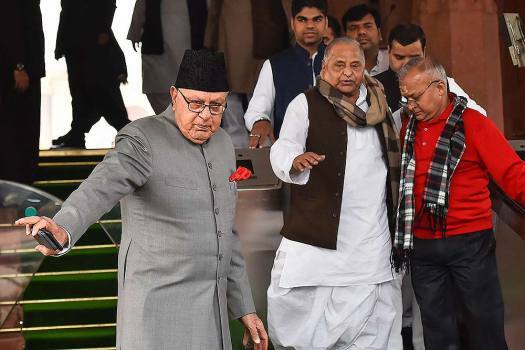 National Conference President Farooq Abdullah and Samajwadi Party founder Mulayam Singh Yadav during the first day of the Winter Seesion of Parliament, in New Delhi. 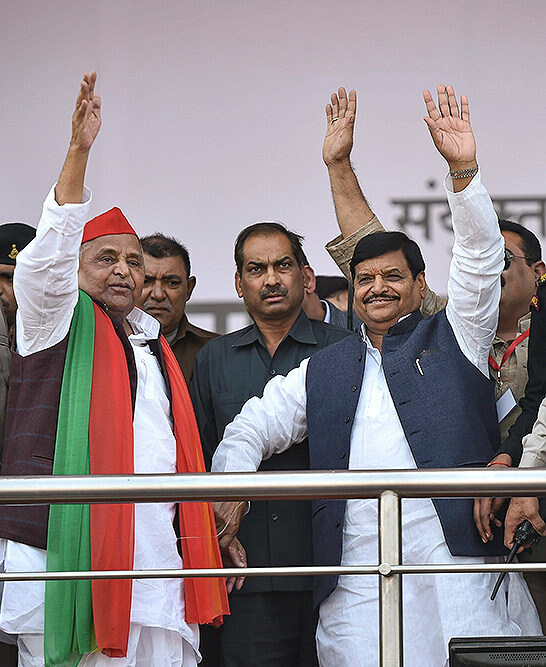 Samajwadi Party founder Mulayam Singh Yadav and Pragatisheel Samajwadi Party-Lohia (PSP-L) Chief Shivpal Singh Yadav attend 'Janakrosh Maharally', in Lucknow. 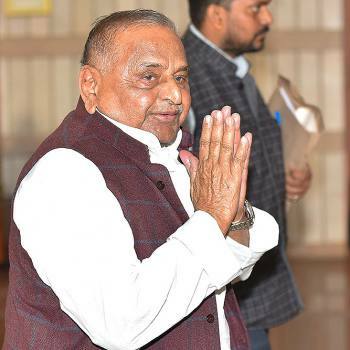 Samajwadi Party founder Mulayam Singh arrives to attend an all-party meeting, ahead of the Winter Session of Parliament, in New Delhi. 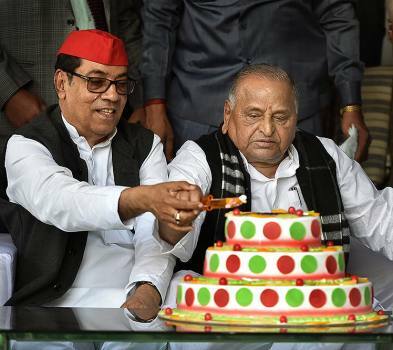 Samajwadi Party founder Mulayam Singh Yadav and National Vice-President of Samajwadi Party Kiranmoy Nanda cut a cake during Yadav's 80th birthday celebrations, in Lucknow. 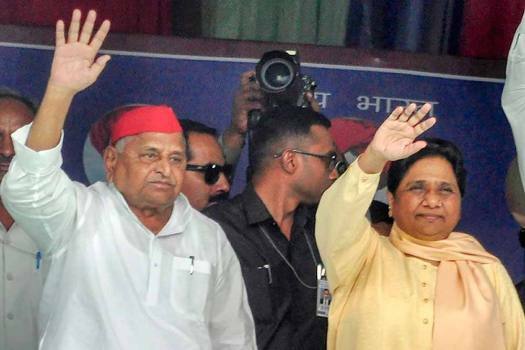 Uttar Pradesh's legendary rivals Mayawati and Mulayam Singh Yadav came together on one stage on Friday more than two decades after their bitter falling out. 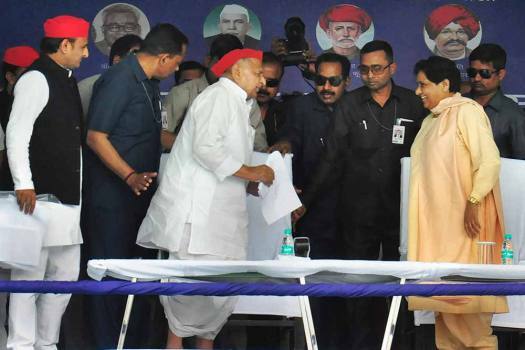 It will be the first time that Mulayam will share the stage with Mayawati since 1995 when the infamous guesthouse incident took place in Lucknow. A bench headed by Chief Justice Ranjan Gogoi asked the CBI to file its response within four weeks on a fresh plea filed by a Congress activist in the disproportionate assets case against Mulayam Singh Yadav. The bench was hearing a plea filed by Congress leader Vishwanath Chaturvedi seeking a direction to the probe agency to apprise the court of the status of the investigation in the case. 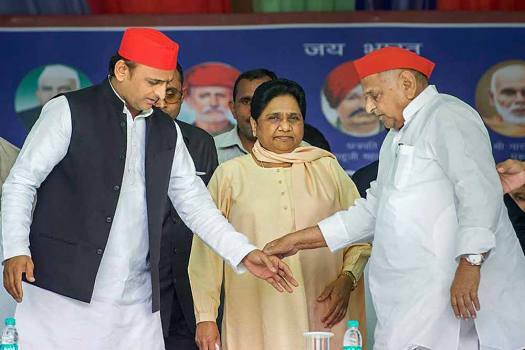 The chief minister also deprecated Samajwadi Party chief Akhilesh Yadav's step of forging a poll alliance with his father's arch rival Bahujan Samaj Party supremo Mayawati, terming the coalition as one 'aimed at usurping power'. 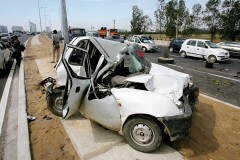 The list was signed by SP general secretary Ram Gopal Yadav. 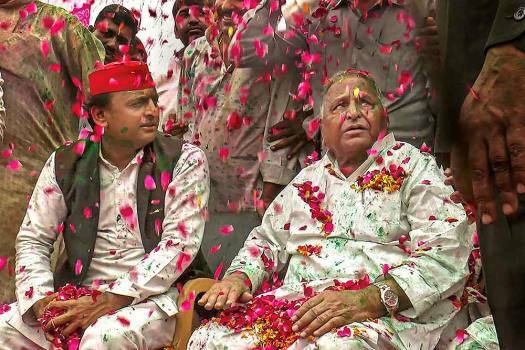 The party left Mainpuri, described as its "safest" seat, for Mulayam Yadav, who is the MP from Azamgarh right now. 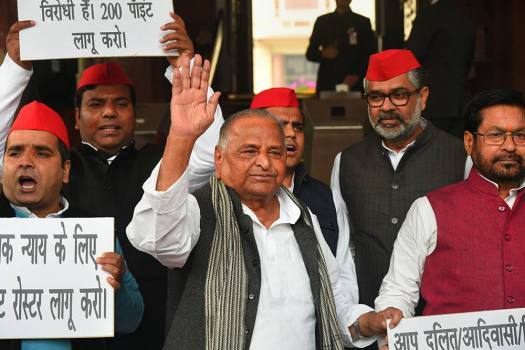 "I wish that all members come back to the House," Yadav said during the last sitting of the 16th Lok Sabha, drawing applause from the BJP members who are in a majority in the House. 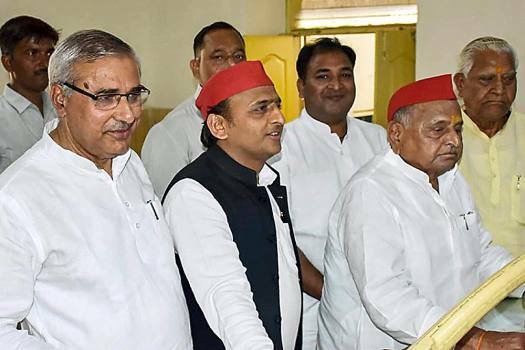 Aparna Yadav, who contested the 2017 assembly polls as an SP candidate and lost, is backing 'chacha' Shivpal Singh's Pragatisheel Samajwadi Party Lohia (PSPL). 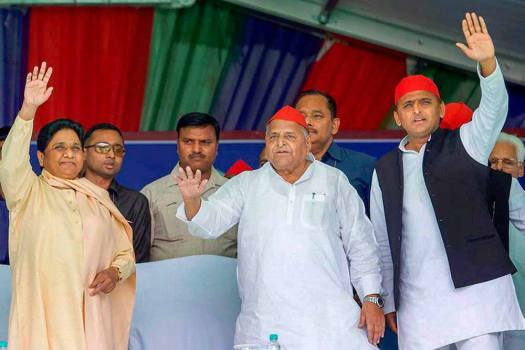 The Supreme Court had on May 7 said former chief ministers of Uttar Pradesh cannot retain government accommodation after demitting office. The Congress, with its shrinking but small and loyal voter base, could play a significant role to soar up the collective fortunes of the anti-BJP camp as well as win a dignified number of seats for itself. 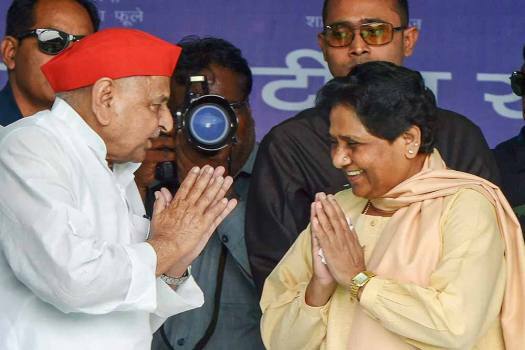 SP-BSP Alliance Double Or Quits? It’s a dress rehearsal for the big contest in 2019. 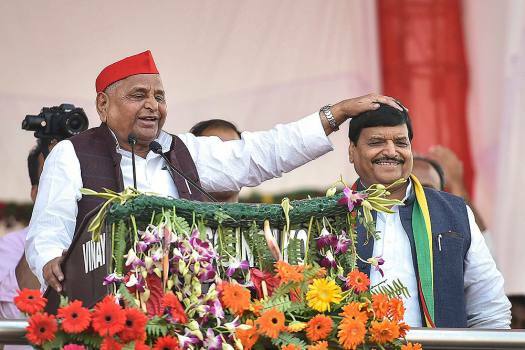 Bypolls to two Lok Sabha seats in UP offer a chance to test the feasibility of a Bihar-style ‘grand alliance’ against the BJP. But can it work? The BJP may laugh it off. But the reunion of two key UP parties can bolster an anti-Lotus national front. A Passing Rumour Heard On The Radio? 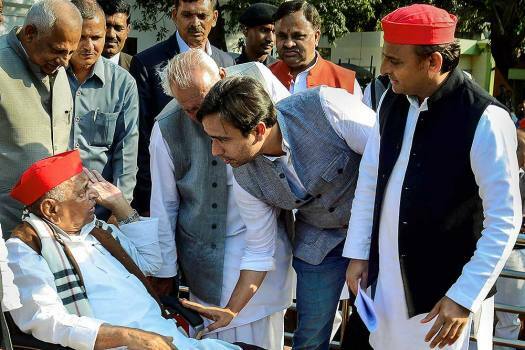 Brand Akhilesh was second to none—in publicity, that is. Till the results came. "Is Pappu Ke Papa Kaun Hain?"